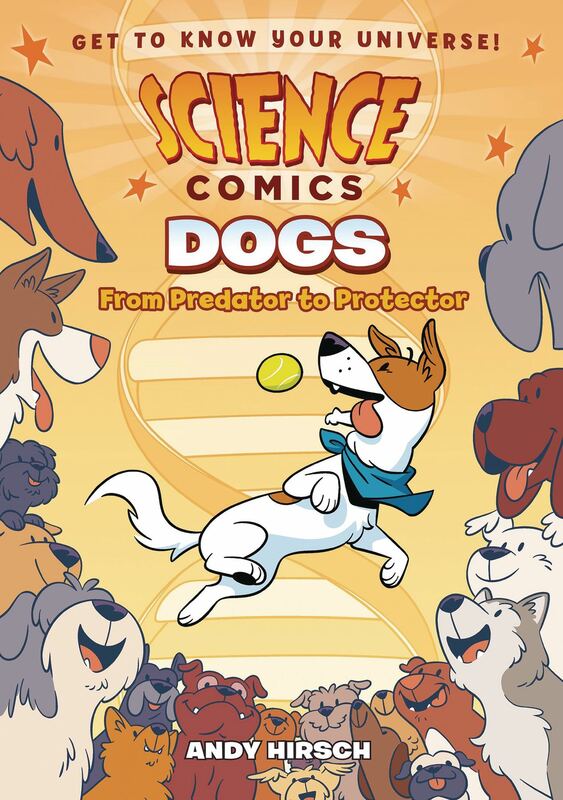 Each volume of Science Comics offers a complete introduction to a particular topic-dinosaurs, coral reefs, the solar system, volcanoes, bats, flying machines, and more. These gorgeously illustrated graphic novels offer wildly entertaining views of their subjects. Whether you're a fourth grader doing a natural science unit at school or a thirty-year-old with a secret passion for airplanes, these books are for you! In Dogs, we follow an adorable Cocker Jack named Rudy on a exciting trip to the dog park. There he introduces us to to his friends and works through key scientific principles from Gregory Mendel, Charles Darwin, and Dmitir Belyaev to explain dog taxonomy, origin, genetic makeup, and much more! Available in Softcover and Hardcover editions.